Most of the times, we consider that sales and marketing are separate things within an organization. Being marketers, we only need to create the leads and hand them over to the sales team. But, is that all? Well really, NO. Actually, as marketers, it’s our job to validate that we’re creating leads for the sales team, as well as producing top notch leads that our sales team can close as customers at the highest possible rate. Interacting with your sales team plays a crucial role in generating business, and the questions you ask can improve or lower your organization’s performance. By asking the right questions, and then conscientiously listening to the answers, an intelligent leader can impact and gain insight into an employee’s business capability and spirit, plus a team’s overall efficiency. Here are six questions that will help you provide effective feedback after sales call. 1. What Does Your Sales Process Look Like? This one may appear a bit rudimentary, especially if one knows the fundamentals of how your sales team works. At the same time, a little review never hurts, and you also may be missing critical bits of the sales process that you didn’t understand. By assessing the buyer’s journey, you can analyze both the sales and marketing processes to guarantee that they are balanced. Thus, marketing divisions can give significant data that moves the buyer down the sales funnel, and sales reps save time by contacting qualified leads only. 2. What are Your Most (And Least) Significant Opportunities? 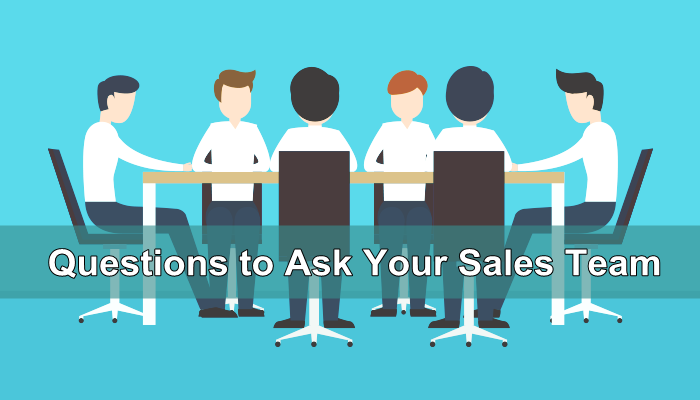 This question will address the need to know where a sales team is focusing its attention. The answers may signal that a sales team is not working in line with company plans. It may be investing energy in a product or service that is not in the organization’s best interest. You might also reveal information that management was unable to identify earlier. 3. How You Are Defining a Sales-ready Lead? After discussing the sales pipeline, it’s critical that both sides agree on what makes a qualified lead. By focusing on factors that sales reps usually consider while choosing which lead to call, you can build up a strategy that delivers more of those leads. Regardless of the fact that your marketing automation software has a lead scoring system, it’s essential to listen carefully to get detailed input from sales reps to refine the lead generation process. Knowing what makes a great lead—budget, job title, content viewed—creates a much broader meaning of what a sales-ready lead is and sets up clear expectations for both sides. In simple words, designing well-thought and researched customer personas can be of extreme help. You should ask your sales team to come up with different personas to facilitate in designing marketing offers and packages. It’s not like one size fits all. 4. Do Leads Know the Company’s Value Proposition? Delivering the right message is a core principle of marketing. If potential customers are turning cold once they talk with a sales rep, then they may not be able to understand what your organization really offers. Your site, marketing materials, and social media accounts all need to guarantee that you’re establishing the right expectations. Marketing must convey to leads what you are offering them and how it helps them so that sales can be as effective as possible. 5. What is the First Thing Leads like/Dislike about Our Offers? Are your reps showing demos of your product? Giving free trials? Possibly making some sort of assessments? See how these offers are performing from the rep’s point of view, and ask your reps to shed some light on how accommodating these offers are from their leads’ viewpoints as well. What do people appreciate most about the demo or assessment? How much value are they getting from eBooks, webinars, or other downloadable content? What feedback are they receiving? One of the key things in modern marketing operations is to understand what your leads do and don’t care for regarding your marketing offers. Itwill help you enhance both the reps marketing ability and viably positioning the marketability of these offers. 6. What Common Questions Usually Customers Ask? Your sales representatives are the ones really listening to your customers for hours each day. Despite the fact that it’s not hard for marketing to write the content or videos they want their prospects to read, the best way is to make content that your prospects actually want to read. By asking your sales team what questions they are repetitively asked gives marketing departments an opportunity to create highly targeted content that will help clients in their buying journey. By learning about their pains and key queries, your marketing and sales can immediately move to and offer better solution. If you think I missed any question or point; feel free to get back to me. You can do that by reaching Makesbridge team on Twitter, LinkedIn, and Facebook. We would love to hear from you.